Swimming Pool - Coming 2019! The Enderlin Swimming Pool is currently under construction! 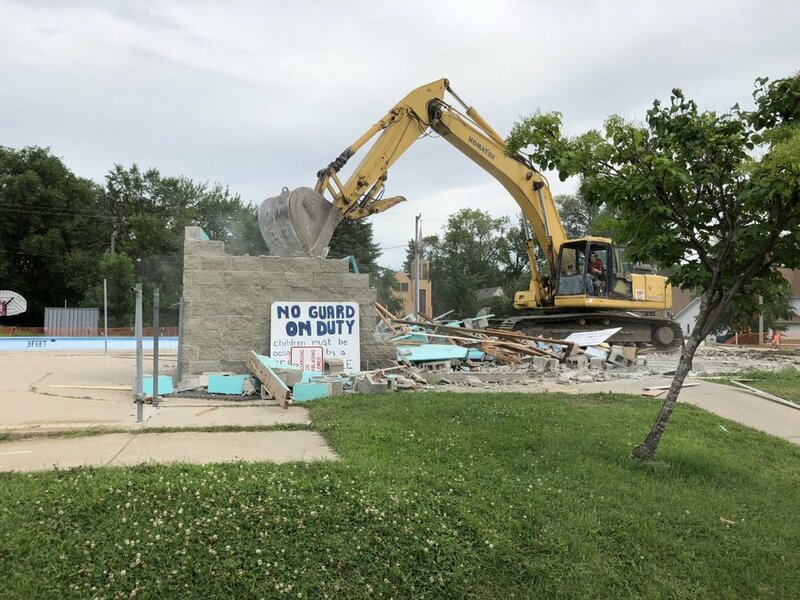 We are working to rebuild the pool to make it bigger and better for our community! Donations are still being accepted for Phase one of the new swimming pool until October 31, 2018. & Phase two: Wading Pool - ongoing. If you would like to donate to either of these phases please contact Linda Bartholomay at 701-820-0054 or send your donation to "All Hands on Deck" PO Box 65, Enderlin, ND 58027. Checks can be written to City of Enderlin - All Hands on Deck. Be sure to indicate what phase you would like your donation to go toward and if your donation is in honor of or a memorial. Triathlon athlete, Mark Olson taking off for the bike route. Making way: Out with the old, in with the new.